CarGurus has 494 nationwide Cayman listings starting at $11,539. 2016 may be forever remembered as the year that Porsche went back to putting four-cylinder engines in its sports cars. 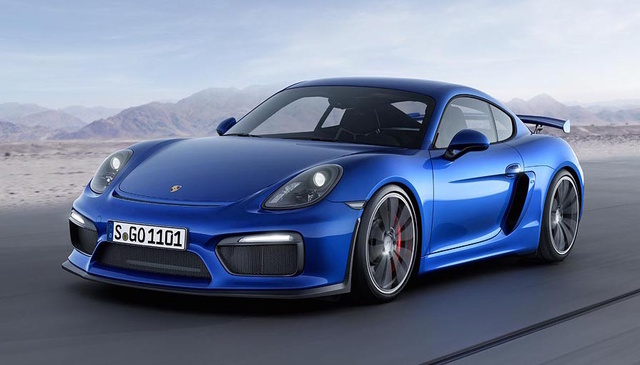 According to reliable sources, the 2016 Porsche Cayman coupe will begin using horizontally-opposed, four-cylinder turbocharged engines in place of its normally-aspirated boxer-six-cylinder engines in mid-2016. These smaller boosted engines are expected to appear on the Cayman base trim at the very least. Countering that rumor are reports we’ve read of testers driving top-trim 2016 model-year Cayman GT4s equipped with six-cylinder engines. So Porsche may add the four-cylinder at the bottom of the line, switch mid-year, or possibly wait to add the new engines until the 2017 model year, and that's about as much clarity as we can provide in a preview. Some see this four-cylinder turbo trend as worrying; others as a sign of the coming carpocalypse. Our opinion is that fans need not fear. Porsche, and parent company Volkswagen, know a thing or two about how to properly turbocharge a four-cylinder engine. Could the very first year of the four-cylinder Cayman actually be remembered as the best of Porsche’s modern turbos when we look back a decade from now? Doubtful, but we also don’t think they'll be remembered simply as bad. The 2016 Porsche Cayman is the two-seat coupe version of the Boxster roadster. The car is mid-rear engine, meaning the engine is located behind the driver but inboard of the rear axle. This is a different arrangement from the rear-engine 911, where the engine partially overhangs the rear wheels. Many enthusiasts consider the Cayman’s arrangement better for handling. The current generation Cayman is Porsche’s second and was introduced as a 2014 model-year car, since then earning a reputation as one of the best-handling sports cars in the world. Its perfect weight distribution, mid-engine design, and Porsche’s meticulous chassis design and suspension tuning make it a popular choice for both weekend track drivers and serious racers alike. We expect the current four-trim Cayman lineup to continue into 2016. The base Cayman uses a slightly less powerful engine than the top three trims, producing about 275 hp, and we would expect this base trim to start at about $55,000. The next step up is the Cayman S, which in the past has had a larger displacement engine that produces about 325 hp and has been a popular choice with buyers. The Cayman GTS uses a slightly more powerful engine of the same displacement as the S, but adds numerous creature comforts such as standard leather seating, upgraded instrumentation clusters, and luxury features like Homelink garage door opening, upgraded sound and infotainment, and more. 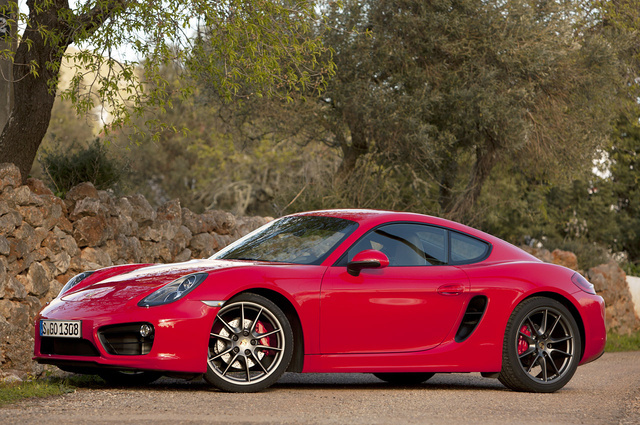 The 2016 Cayman GTS should start at about $80,000. All three of these Cayman trims are expected to be available with both a manual six-speed transmission and with Porsche’s famed Doppelkupplung automatic, known as PDK. The manual transmission is upgraded on cars with the Sport Chrono Package to include automated rev-matching on downshifts, which means that drivers do not have to “heel-toe shift” the car if they chose not to. The system comes with an “off” switch so that drivers who wish to rev-match using all three pedals can do so. PDK is a dual-clutch type of transmission that Porsche fans consider one of the best of its type. It allows drivers to select gears via either the paddle shifters or gear selector, or to let the car do the shifting on its own. PDK-equipped Porsches are usually a bit quicker off the line than manuals, and are faster on the track than stick-shifts in the hands of anyone other than an expert. PDK will be optional on all three of the trims listed above, costing about $3,200. The top-tier 2016 Cayman GT4, which some journalists have already had an opportunity to cover, is a dedicated track beast with a 3.8-liter, boxer-six engine that produces a whopping 385 hp. Unlike the three other trims, the Cayman GT4 comes as a manual six-speed only. Almost every part of the Cayman GT4 is upgraded for racing and fast driving: a spoiler to help manage airflow and create downforce, upgraded brakes with six-piston front calipers and composite discs, a sport exhaust, and much more. Shoppers interested in a 2016 Cayman GT4 should plan to spend around $90,000. Porsche also adds more safety equipment to the GTS, including a side impact protection system, probably because most premium manufacturers these days tend to include a full safety suite in their cars. On the track, a Cayman may be considered as safe as any other well-built sports car, but remember that the IIHS has not rated it for safety. The Porsche Cayman offers a unique combination of design and heritage to those interested in superb handling, both on-road and on-track. With the rumored switch to a smaller but equally powerful engine, the Cayman may end up with a slightly reduced weight to help it continue Porsche’s never-ending search for more speed and better performance. What's your take on the 2016 Porsche Cayman? Have you driven a 2016 Porsche Cayman? 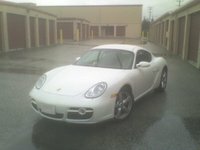 I listed a Porsche Cayman in October 2018 but it is no longer listed. I thought all listing were for 1 year. Is there a phone number to call to speak with a Carguru agent? Could You Offer Financing So I Know What My Limits Are ? I've listed my 2016 GT4 for sale. However, I see no location to indicate it is a CPO car other than the description. And this may affect the price. Is there a way to make this a CPO listing?